Early in the morning of November 21, 1963, a call came in to the Fontana fire department: A massive fire raged at Harvard Club, a collection of historic summer cottages located along the south shore of the lake just east of the village. The Geneva Lake fireboat, which pumped lake water and provided the best option for putting out fires at lakefront homes, had recently been taken out of the water for the season and could not respond. By the time the first firemen appeared on the scene, three cottages were already engulfed in flames. The morning was cold and foggy, with a brisk wind that spread the fire rapidly. Soon, 30 trees on the property were up in flames as well, followed by more cottages, all of them nearly 75 years old. Several neighboring fire departments were called in to assist with the firefight. A blockade was established at the road to prevent traffic from coming too close, and the glow of the fire could be seen from homes across the lake. For two hours, 60 volunteer firefighters fought the flames. As the fire reached one of the home’s oil tanks, it caused explosions that further scattered sparks and flames. By the time the fire was extinguished later that morning, seven cottages had burned to the ground, and two more suffered significant damage. The cause of the fire was never proven, but firefighters suspected an electric space heater may have started it. 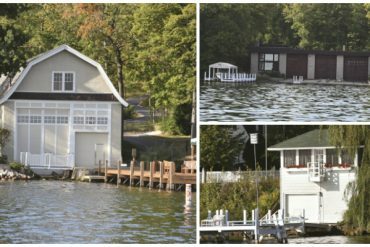 The loss of seven of the original Harvard Club cottages was particularly tragic, because Harvard Club is quite possibly the oldest camp or club on Geneva Lake. 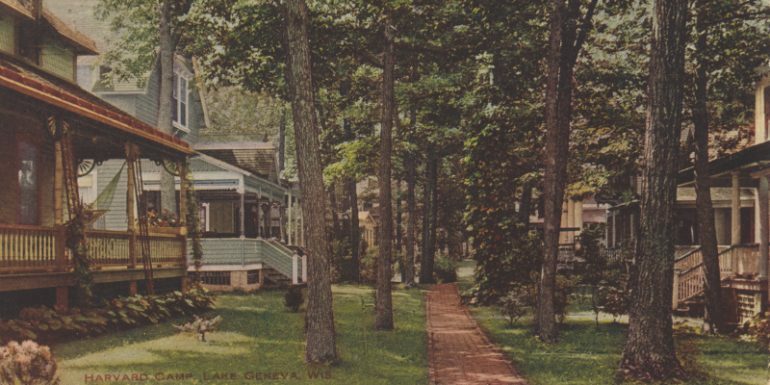 By the mid-1870s, wealthy Chicagoans had built a handful of opulent summer homes in Lake Geneva, all of which were situated around the east end of the lake. But beyond the village of Fontana, the west end of the lake remained more or less in its natural state. In 1875, early Wisconsin pioneer and successful businessman Edward Everett Ayer donated 14 of the 1,200 undeveloped acres he then owned at the west end of the lake to a group of families from nearby Harvard, Illinois, to establish a camp. (Ayer’s property holdings extended from the lakefront and what is currently known as Abbey Springs to County Road B.) For all intents and purposes, Ayer was the crown prince of Harvard — his father, Elbridge Gerry Ayer, founded the town in 1856, moving his family there when Edward was a teenager. 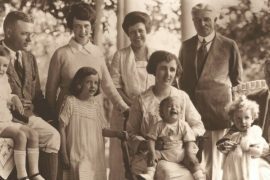 When the original families started summering on Geneva Lake, they traveled from Harvard via horse and wagon, pitching tents on the wooded land, cooking on open fires and bathing in the lake. Initially the property — which included 250 feet of lake frontage and extended 600 feet back from the lake — was divided into 25-foot-square plots, just big enough for each family’s tent. Early photographs show the campers in front of their large canvas tents, rope hammocks strung between the trees, no doubt enjoying the cool shade and easy access to water on a hot summer day. Edward Everett Ayer, “Uncle Ed” as he was known, maintained close ties to Harvard Club all his life. However he spent his summers in a larger cottage he named The Oaks on his land to the east of the Harvard Club, a reflection of his status as a wealthy mogul of the railroad industry. His company, Ayer & Lord Tie Company, was one of the largest manufacturers of railroad ties during a time of rapid railroad expansion in the Midwest. “Uncle Ed” had come by his entrepreneurial spirit naturally. 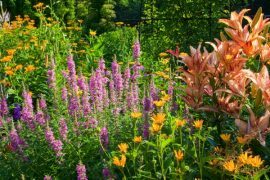 His parents were early pioneer settlers of southeastern Wisconsin prior to founding Harvard, coming to the area as soon as government land became available in 1836. Edward was born in Southport (now Kenosha) and grew up farming on the Big Foot Prairie (south of modern-day Walworth). In 1859 at the age of 18, he joined a wagon train to northern California in search of adventure. When the Civil War broke out two years later, he enlisted in a cavalry regiment in San Francisco, and served three years with the U.S. Army throughout California and the Southwest. When he returned to Harvard in 1864 and saw the imminent expansion of the train lines in the area, he began buying up local wood lots to sell cordwood to the railroad companies. In September of 1865, he married Emma Burbank and soon after, his fledgling business turned into an enormously successful railroad tie enterprise. His early business triumph was made possible thanks to the patronage of George Sturges, president of the Northwestern National Bank in Chicago and early Lake Geneva summer resident, who according to Ayer’s biographer, “had confidence in Mr. Ayer from the first and took deep interest in him … As long as he lived, he did everything in his power to aid him in any business undertaking he had at heart.” By the time Ayer was 30 years old, he was selling nearly a million railroad ties a year, ultimately amassing a vast fortune. In addition to purchasing the land on Geneva Lake, one of the ways he spent his acquired wealth was through the extensive collection of Native American artifacts and relics, some of which were unearthed on his Geneva Lake land. This collection eventually grew to include rare books about native tribes and cultures around the world, many of them collected on Ayer’s extensive world travels. Because of his passionate interest in collecting and native culture, he became a founder of the Field Museum of Natural History in Chicago, and served as a trustee for the Newberry Library as well. (Following his death, his remarkable collections were donated to both of these institutions.) He later served as a member of the United States Board of Indian Commissioners from 1912 to 1919 under Presidents Taft and Wilson. For the first five years the Harvard families came to the Lake Geneva area, they were content to continue camping. But by 1880, many of them wanted to build more substantial structures on the land, so the original 25-foot lots were combined and expanded to 50-foot lots and families began to build small cottages. The Harvard Camp became the Harvard Club. Between 1880 and 1896, 26 such cottages were built, laid out along two brick lanes leading from the road to the lake. Due to the small lot sizes, many of the homes were just inches away from each other and none of the cottages were built with kitchens during this era. In 1884, Edward Ayer’s sister, Julia (“one of the jolliest little women on earth,” according to an 1886 piece in the Lake Geneva Regional News) and her husband, H.B. Minier purchased land just west of Harvard Club and opened the Hotel Minier, which featured a full-service dining room where the members of the Harvard Club took all of their meals together. According to Jamie Holden, whose grandparents built their Harvard Club cottage around 1890, these historic homes besides having no kitchens, were built without toilets, sinks, showers or bathtubs, a situation that persisted through the years following WWI. “When I was a kid, when we needed a bath, my mother would just hand us a bar of soap and send us down to the lake,” he remembers. Laurie Buss, longtime Harvard Club member, says some of the cottages still feature unique sinks with three faucets, originally intended for hot, cold and lake water. Today, all of the homeowners have upgraded their homes to include kitchens and bathing facilities, as well as varying degrees of modern amenities. Due to the communal origin of the Harvard Club, even today the land upon which the cottages sit is owned by the club as an entity. Members own their individual homes and belongings, but not the land itself. This presented a unique challenge after the catastrophic 1963 fire. Due to changes in county zoning laws over the previous 80 years, some of the homes that were lost in the fire could not be rebuilt. Families who lost their cottages in the fire, including Jamie Holden’s, simply lost their membership in the Harvard Club as a result. (Holden’s family continued to rent in the Harvard Club for five years following the fire and he and his wife eventually purchased another cottage there.) Following the fire just two new homes were built on the club’s property, on the land closest to the lake, and these differed vastly in style from the original 19th century cottages. “So now, when you look at the Harvard Club from the lake, you see these mid-century houses and don’t get the full effect of the history of the place,” says Buss. Any changes to the exterior of the homes have to be approved by the club’s governing board, though current Harvard Club President Brad Huss says the group tends to be relatively lenient about variation in appearance between the houses. Most of the cottages have undergone some level of renovation and modernization, though not all of the changes are externally visible. For example, Huss and his wife recently undertook a massive project to excavate a full basement under their cottage, which allowed them to add several modern amenities without sacrificing the historic integrity of the home’s exterior. In many ways, the most remarkable thing about the Harvard Club is how little it has changed over the past 143 years. 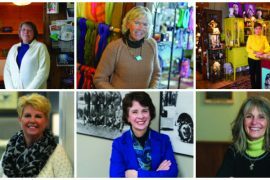 Because so many of the cottages are passed down through families across several generations, many of the current members have been coming to Harvard Club in the summers all their lives, forming strong bonds with their neighbors. They all recount treasured childhood memories of fishing, swimming, waterskiing, scavenger hunts, rag tag, kick-the-can … timeless camp activities that have thrived for decades in Harvard Club. But despite the incredible amount of continuity across the generations, even in Harvard Club not everything stays exactly the same. In the 1920s, the group drafted a list of governing rules, the first one being “No parakeets or quadrupeds allowed.” This meant that residents could not bring their dogs to Harvard Club in the summers. But according to Huss, the Board recently voted to lift the century long prohibition of dogs. “It was a hotly debated topic,” he says, smiling.